I just wrapped up my 2nd week of school. The first week was spent going over classroom expectations and procedures and setting up our Interactive Science Notebooks. I am always amazed at how much time it takes to do both of those things, but I honestly can't imagine NOT doing them. I think that going over my expectations and how I want my classroom to "run" is muy importante. In the past years, I would spend about 2 days going over expectations and procedures and by the end of those 2 days, I was usually without a voice. Seriously, I can't believe how much I talked on those days (and for 6 different class periods)! And apparently, the whole "no voice" thing wasn't a big enough clue to me that I was doing too much teacher-talk, because I just kept doing the same thing year after year. No lie, I had to borrow a microphone and speaker from another teacher to amplify my whisper, just so that my students could hear me! This year, I finally got the hint and I did things differently. 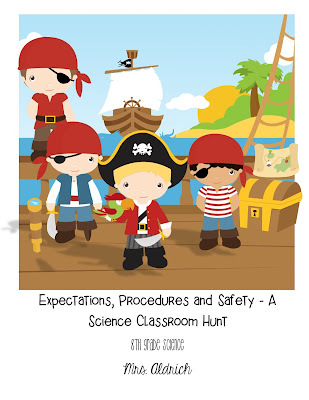 This year, I created a Classroom Expectations, Procedures and Safety Scavenger Hunt around my classroom. 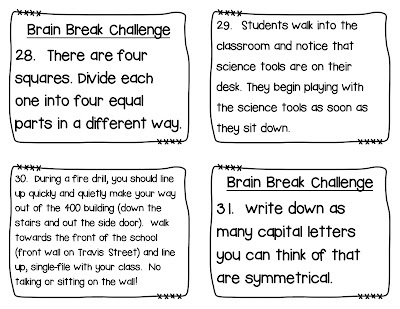 I had 31 task cards in various locations around the room and the students had an Interactive Science Notebook booklet that I created for them to answer questions in. The students were instructed to roam around and find all 31 of the cards. When they found a numbered card, they opened their booklet to that same number and found a related question that could only be answered by reading that specific card. This forced the students to be moving around (not sleeping at their desks, while I mindlessly fed them information) and they had to read (which is never a bad thing.....painful for some of them, but that's a different issue.) And the best part..... I still have my voice. This scavenger hunt freed me up to facilitate and assist any struggling students (although there weren't too many problems). I was able to take care of a lot of that first week paperwork and I knew that my students would still be prepared for my class and the very picky expectations that I have for them. The activity still took 2 days, but for this, it is always time well spent in my opinion. 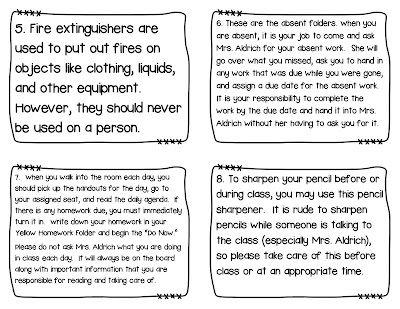 Of course, I still went over a few of the really important ones (like my homework policy, late work policy, what to do when you're absent, what will happen if they are disrespectful with a sub, etc...), but it was quick because they already knew the answers. I could just ask what the expectation was and they quickly gave me an answer. It was wonderful! 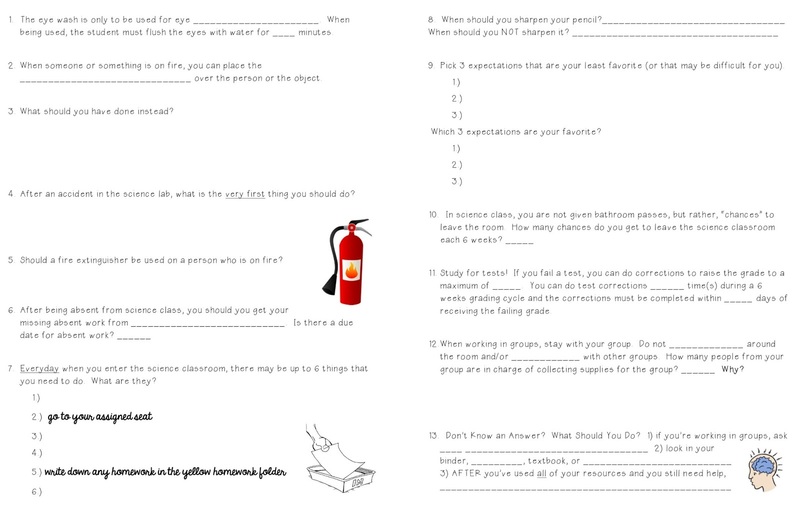 If you are interested, I have created a product that will give you access to the task cards and Interactive Science Booklet I created to go along with them, in addition to editable versions that will allow you to customize both the task cards and ISN booklet to your own needs. 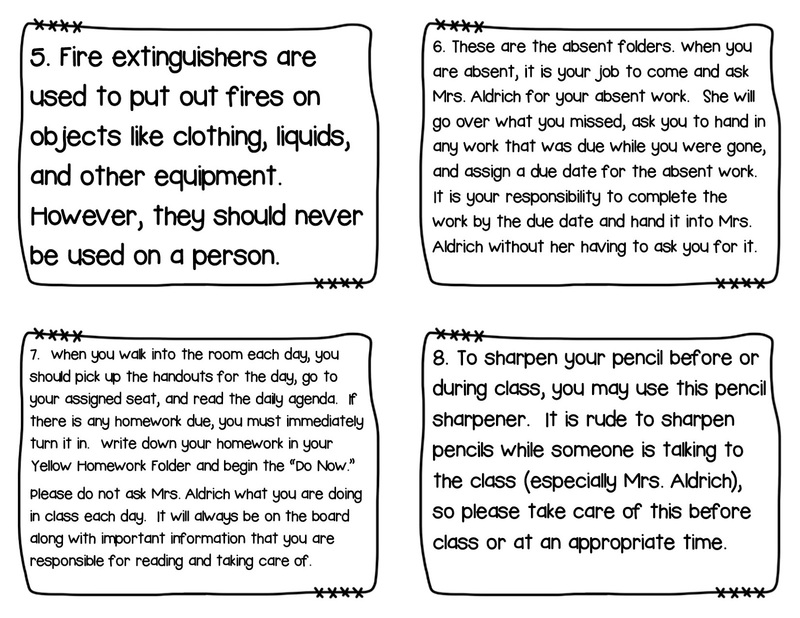 You can access it HERE in my Teachers Pay Teachers store. I love this idea. I wouldn't mind a copy of your work. I'm sure it will have to be tweaked to fit my situation but starting with something is better than starting with nothing. I just found your Blog yesterday!! I LOVE it... You have some great ideas. We seem to think alike when it comes to teaching. 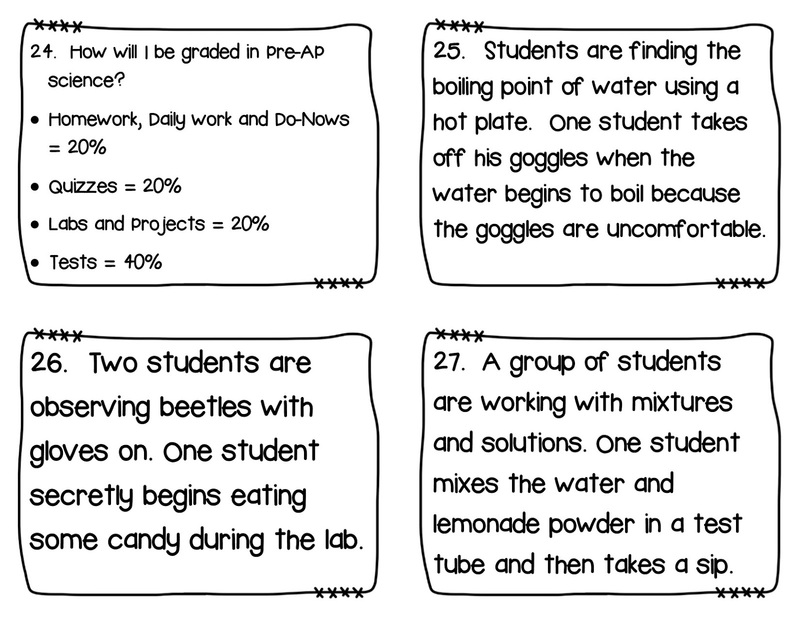 I would love a copy of these task cards and IAN (interactive notebook) scavenger hunt booklet so that I may spend the summer tweaking them. This will be my first year teaching. I like this idea and would love to have a copy. I feel I need all the creative help I can get to make my classroom fun and successful. 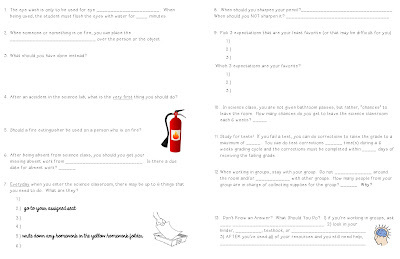 I would like to see a copy of your task cards and Interactive Science Booklet. 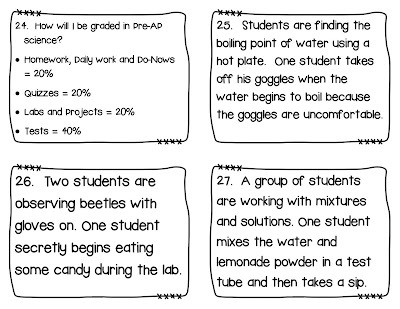 This will be my third year teaching 6th grade science and this sounds like something my students would enjoy. Please email me at: jmjenimc3@gmail.com Thank you. I would love a copy! 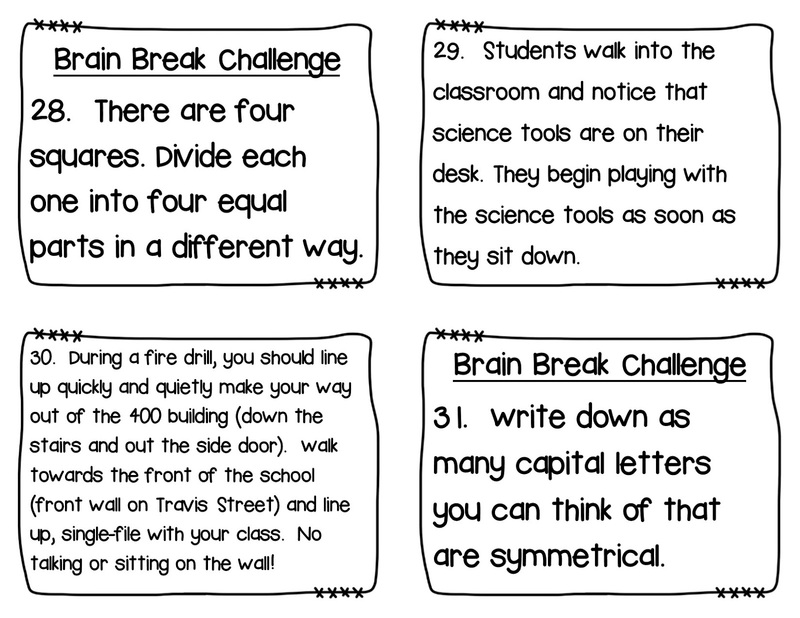 This idea of having a scavenger hunt is engaging and yes it will save your/my voice! Oops forgot my email! Lprins721@gmail.com thanks! I would like a copy of your scavenger hunt task cards as well as the interactive science booklet. Appreciate it!